Looking to get the most out of your next real estate agent open house? There are many ways to prepare for a successful open house and making a home smell good is at the top of the list. Smell is the first thing people usually notice when walking into your realtor open house. Imagine if there is a strong odor? Gross. Your potential buyer won’t be too impressed. You may have used air fresheners in the past but those are not a safe way to make a home smell good for an open house. Not only that, as a person with asthma and other annoying allergies, air fresheners can set off my allergies quickly. Not a good experience for your potential home buyers! 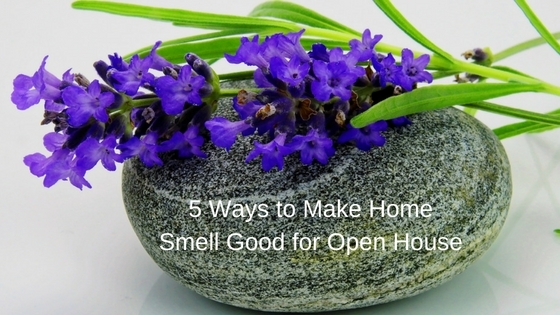 So what can you do to make a home smell good for your next realtor open house in a safe and natural way? Today I have 5 ways to greet your buyers with natural aromas that are safe and natural. Carpet fibers can trap odors and give off a less than pleasant smell. You can easily sprinkle some baking soda on the carpets. Vacuum it up after about 15 to 30 minutes. You can even leave it overnight! Baking soda is a wonderful, cost effective solution that absorbs odors. It can also be used on sofas or sprinkled into the trash can. Essential oils are a wonderful way to scent your next open house safely and naturally. 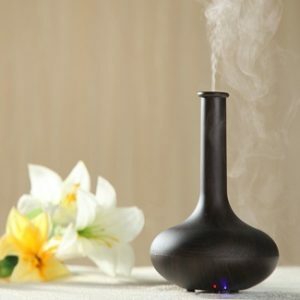 Using relaxing, pleasant scents like lavender are a wonderful way to set the mood. Some essential oils are helpful to freshen up the air in your open house as well as lift the mood of your next buyer. Citrus oils are one of my favorites. I use these at home and friends love it! The best way to use essential oils at your next open house is with a diffuser. Diffusers are easy to use! Just fill with a water, add a few drops of your favorite oils, plug in and turn it on. 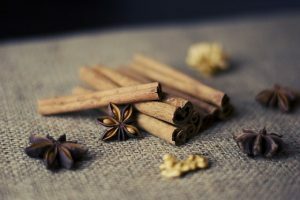 Cinnamon is a wonderful way for a natural, spicy fragrance to greet your potential home buyers. It’s super easy to do! Bring a pot of water to boil and put in up to three sticks of cinnamon. You can also put in a few cloves. Set the pot to simmer about an hour before you open the doors to your potential home buyers. Another way to use essential oils to scent your next realtor open house is with a room spray. You’ll need a small spray bottle. Add a cup of water and 4 to 5 drops of essential oils. Lavender is one of my favorites! You can also spray it on items like the sofa to freshen them up. No one likes a stinky kitchen garbage disposal! This one’s an easy and natural fix. Just get a lemon and cut into small pieces. Put a couple of pieces with peels down the garbage disposal and turn it on with runnin water. The delightful smell of lemons will replace any unpleasant odors. Today I gave you a few tips to naturally freshen up the smell of your real estate open house. I hope you enjoyed the tips. What are some of your favorite ways to scent a home? Do share in the comments below! I appreciate if you shared this post about 5 Ways to Make Home Smell Good for Open House in your social media networks!